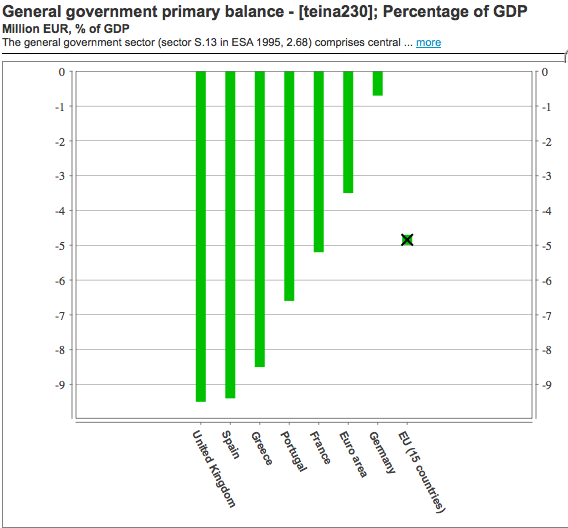 A primary budget deficit refers to the amount by which government spending exceeds government tax revenues. It does not include the additional cost of debt interest payments on the government bonds. This is why you sometimes hear different statistics. For example, the primary budget deficit of Greece is about 9% of GDP, but with debt interest payments, this budget deficit rises to over 12%. Clearly, with the rise in bond yields on Greek debt, the difference between the primary deficit and actual budget deficit widens and it becomes more difficult for government to make an impact on actual debt. A partial debt default can involve the government making a debt payment holiday (i.e. not paying the interest payments on bonds) The government only pay back the actual amount of the loan. The UK has one of the highest primary budget deficits in the EU, but, it has still been involved in a recent EU bailout for weak nations. This involves promising up to £12bn in loan guarantees should the likes of Spain and Portugal default. – It does sounds like a case of the blind leading the blind – or the indebted bailing out the broke. 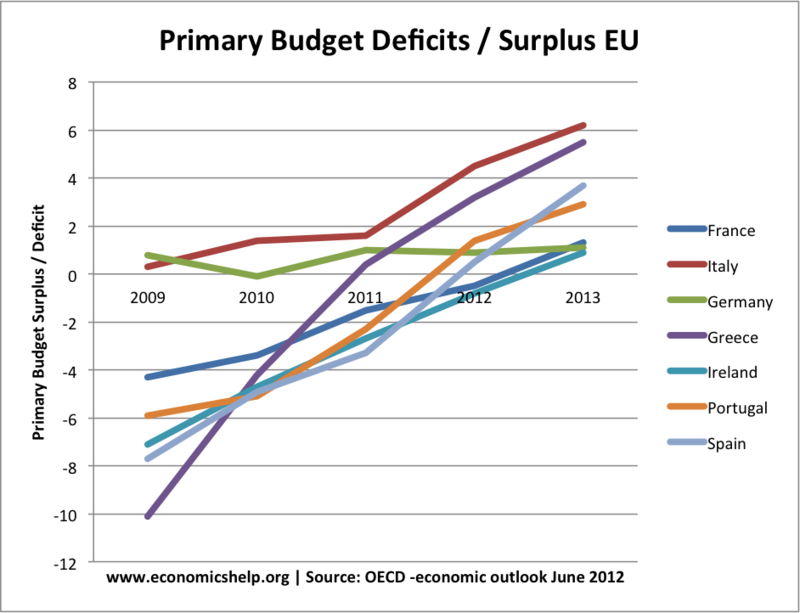 underlying primary deficit – excluding debt interest payments and cyclically adjusted.